Coming from Michigan my frame of reference for reporting that I was homeschooling was simply filling out a form and sending it back to the state. Alabama takes a different approach and it has thrown me a bit of a curve-ball, at least at first glance. 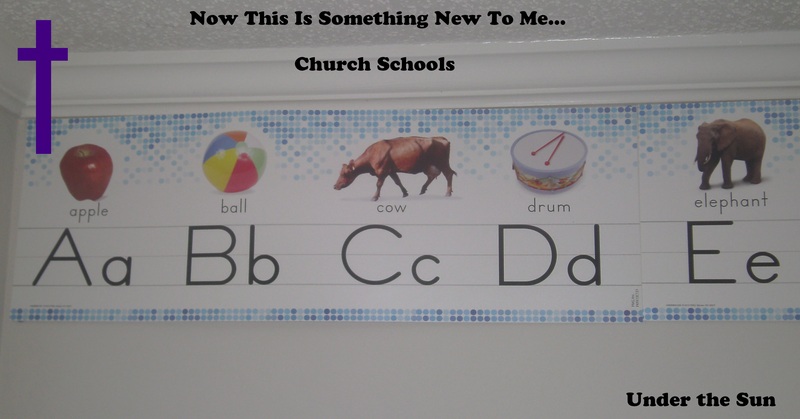 In Alabama you can homeschool via a (cover) church school or if you have a teaching license under the title of personal tutor. 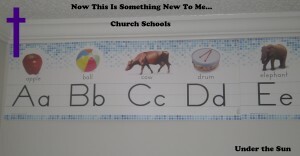 The church schools are something new to me and each one is so different from the next. It seems each school provides a different level of oversight. Some say that the children must be taught by one parent who does not work outside the home, they must attend ‘school’ for 175 days out of the year, they get 5 sick days, 5 teacher development days, the parent turns in lesson plans and grades, the students must undergo regular standardized testing, and the family must provided a statement of faith. Then there are church schools that provide a legal cover and that is all, you are free to school under their cover in any way that you wish. Honestly while I am not opposed to parents choosing a higher level of oversight for themselves, I am thinking our household will be looking for a school with no oversight. I want, if need be, to teach my daughter at seven years of age kindergarten/ 1st grade English, because that is where her skill level is at and not be told she is failing. I want to foster a love of learning, and not make it a chore. I worry that if they must perform to some preset notion of what level they should be at and instead of the level they are, then they will start to see themselves as a failure. That being said I am not opposed to challenging children. I plan to challenge mine. It is through challenges and even struggles that we learn and grow. I just want to be able to set the bar for the challenges at an attainable level for my children. Basically I just want tailor my children’s curriculum to their individual needs. My other big thing is I want to be flexible as to when we do school. By that, I mean if we are really sick for two weeks straight, I would rather focus on getting well than on studies. Or perhaps I would rather just take off for a vacation mid year and visit family. Flexibility in scheduling is part of homeschooling, to our family. At the end of the day I will just need to pray and do research to find the right cover school. Perhaps the right school for us is not one with no oversight but rather one with more than I am currently comfortable with. Perhaps the Lord will use this as a learning experience for me. This entry was posted in Homeschool and tagged Children, homeschool, Kids, school on September 18, 2013 by Sara R.